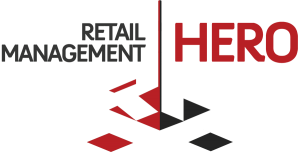 INFINITE SOLUTIONS is among first companies in Europe which is certified for the successor of Microsoft Dynamics Retail Management System (RMS), Retail Management Hero (RMH). INFINITE SOLUTIONS is certified RMH Partner and Trainer from April 2016 and already working with the first prospects. RMH is a complete point-of-sale solution that enables retailers to efficiently manage all their back office and POS activities. it comes with all the features that you are familiar with from MS RMS with a new interface and some new functionalities, this new POS system exceeds its predecessor. RMH offers touch screen optimization, integrated payment and stock management that is second to none. it allows you to customize your own retail reports and then export them directly into Excel, XML, CSV or some other analysis tool. Extremely easy transition from RMS to RMH, for existing RMS customers.